Chattisgarh is one of the greenest states in India, with 41.33% of its total area covered by dense forests. It would not be an exaggeration to state that Chattisgarh’s way of life is built around the virgin forests and its rich bio-diversity. The untouched beauty of Chattisgarh’s flora and fauna, makes you fall in love with this state. One of the prime tourist attractions of the state remains its wildlife areas. 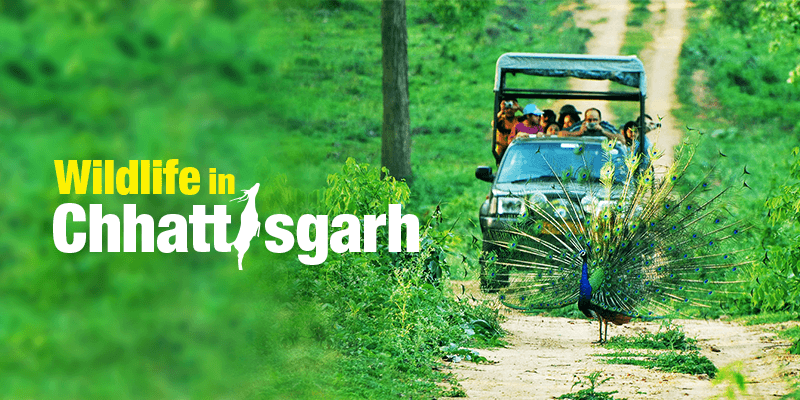 Chhattisgarh has 3 national parks and 11 wildlife sanctuaries, which can give you a supreme animal sighting experience. 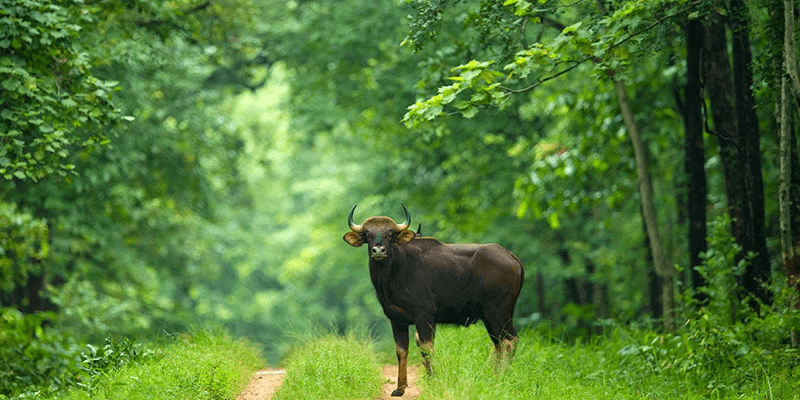 So, let us tell you about the best wildlife sanctuaries of Chattisgarh today. This wildlife sanctuary, spanning across 245 sq. km., is characterised by its lush green vegetation filled to every inch. Apart from being one of the lushest areas, it also comprises of small hillocks, flat land and scenic rivulets running through various areas. 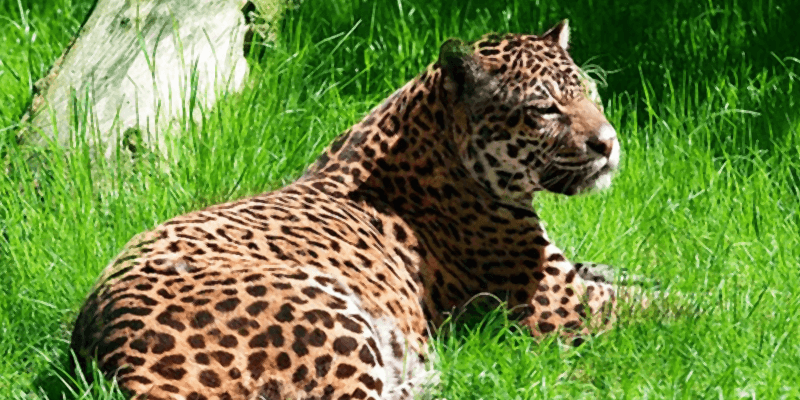 Barnawapara Sanctuary is known for its sizeable population of leopards. Apart from this, antelopes, hyenas, Chinkara, Barking Deer and Bison can also be commonly sighted during the safaris. Though there is a faint chance of even spotting a tiger, but that completely depends upon luck and the season you visit. Note: No extra charges for photography and video. Classified as being one of the densest forests in India, the Sitanadi wildlife sanctuary is filled with many furniture making trees, such as Sal, Teak and Bamboo. The sanctuary got its name from the Sitanadi river, which originates from this forest area. The wildife sanctuary is well known for its carnivore population in the form of tigers, leopards and jackals. 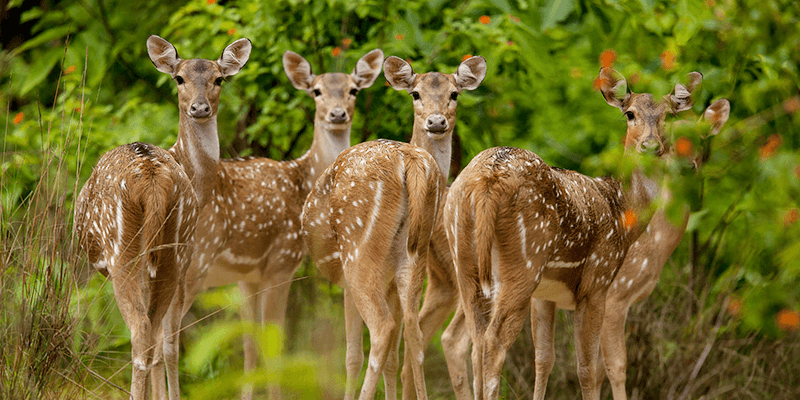 Apart from this, the tourists can easily spot black buck, Sambar, Nilgai, Gaur, monkeys and various species of birds while visiting the Sitanadi wildlife sanctuary. Note: Permits are required to enter the sanctuary. These can be obtained from any of the entry gates. Spanning across 232 sq. km., this wildlife sanctuary is known for its picturesque landscape. 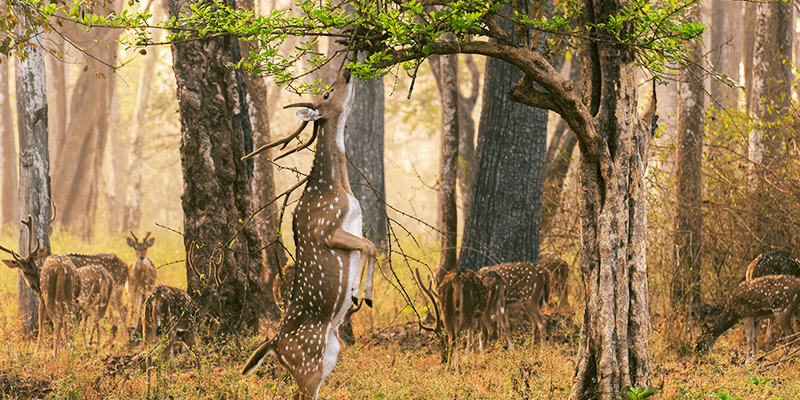 Stretching across the hills and plains, the Udanti Wildlife Sanctuary is known for its herbivorous population of bisons, Barking Deer, Gaur, Sambar, Chital, Four-horned Antelopes, Chinkara, etc. Sightings of leopard, tiger, panthers and hyena have also been reported within the sanctuary. A wide variety of birds ca also be spotted here. Note: Prior permission must be sought from the office of Divisional Forest Officer, Wildlife Division situated at Old Chhattisgarh College Campus of Raipur. It is one of the most famous national parks of the country and the abode for Chhattisgarh’s state bird, Bastar Hill myna. Having a stunning biodiversity, picturesque landscape, lush green flora and many waterfalls within its boundaries, the Kanger Valley National Park is also famous for its subterranean limesone caves. Tourists can view tigers, wild cat, chital, sambar, barking deer, jackals, langurs, leopards, Striped Hyena among other animals.